RoxyPenguin. 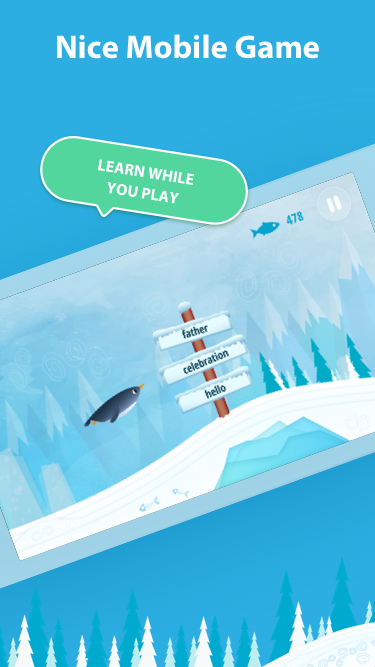 Most addictive app for learning languages. 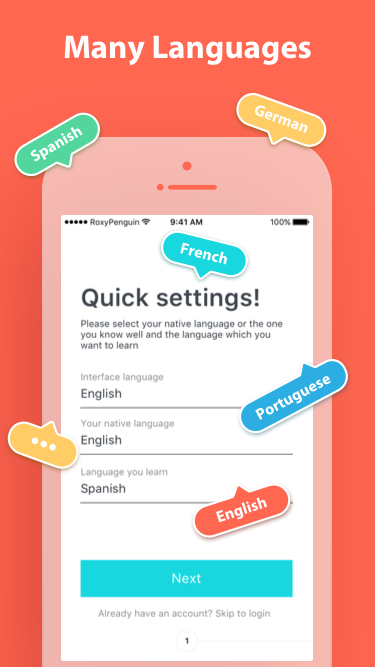 Most addictive app for learning languages. We support 40 languages. And will support even more. It means that you can learn these languages or use them as your native language - to get translations from languages you learn. Learn only words and phrases you want to learn. Don't waste your time for words you already know or for those you are sure you'll never use. 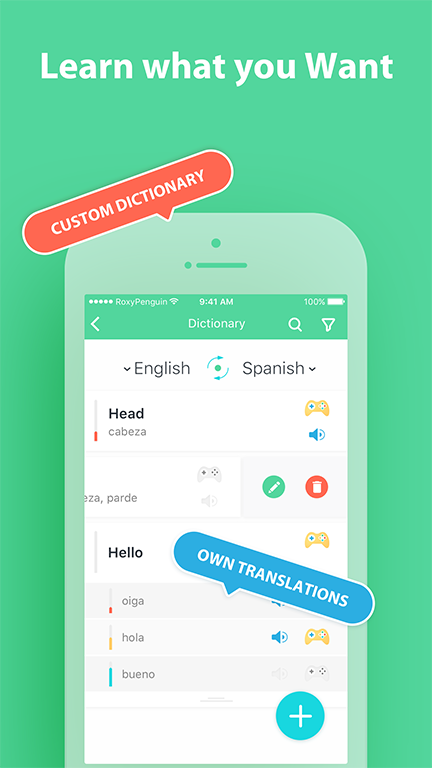 You can choose translation which you want to learn or you can add your own. Never get bored by playing real entertaining mobile game with nice graphics, music and so on. Choose your native language and language you learn. This will help you to save new words to your dictionary by providing right translations. Heard some word you don't know? Pick up your phone and save it in your custom dictionary for later. Standing in line, commuting? Don't waste this time and have some fun by playing our nice mobile games. Learning happening in background. You learn more when you enjoy the process of learning. Games are more fun than just exercises.